@znourf I know this is for an Uno but exact same procedure with Nano. 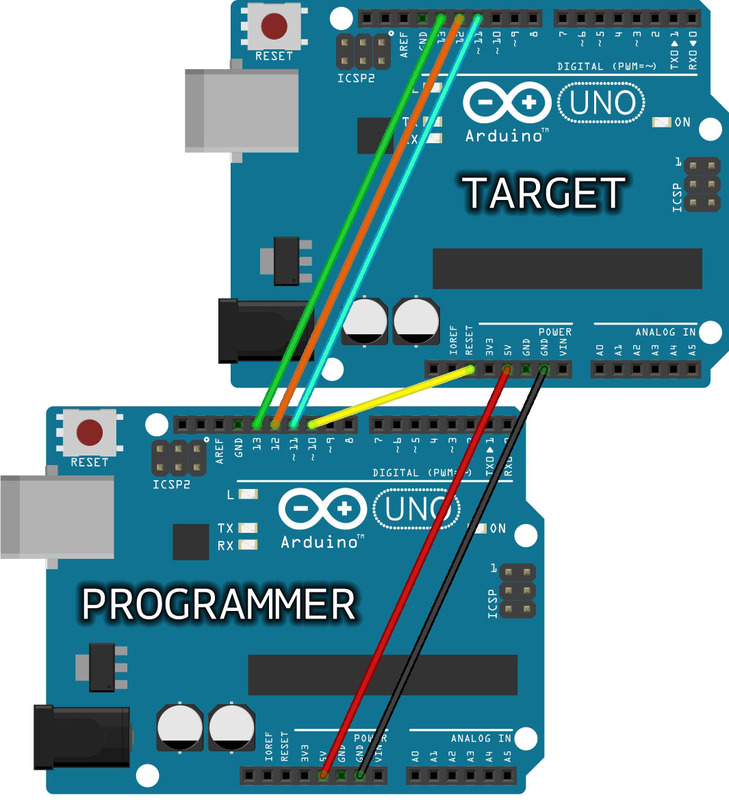 okay so i managed to save the arduino clone and even bought 2 others just in case. And today it's back to square one but all 3 are corrupt. So what happened? I was trying to launch a vector when the engraver set off and immediately stoped with the laser on at full power. I stoped the laser by turning it to low power mode with the switch then moved out to turn everything off. I turned the mana back on and nothingw as responding . I sent out to try an other nano clone but the same happened . Finally after trying to get it to work i tried a new mana board with a new nano clone. I didn't even have time for it to launch the laser stayed on. But this time the nano has the red light on al the time and gets hot. @znourf Sorry, I have no idea what is going on with your machine. I have dozens of Nano's for different projects and never had any go crazy like you are saying. They are very reliable and I've found them extremely difficult to kill, even with poor ESD handling they don't seem to fail. Hi @Zax , i got the same Problem ( Installed Grbl 1.1f instead of using 1.1e which runs fine) Dont know if its the LaserAxe or another. 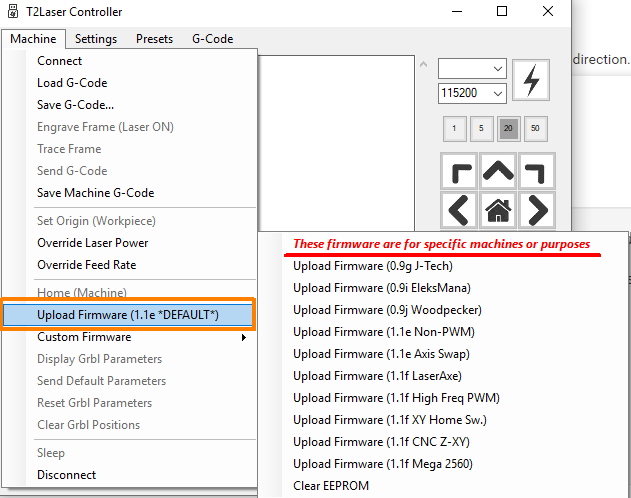 Now when i want to Update the Firmware to 1.1e or if i want to clear EEPROM i got the Firmware upload error (1/1). The Update from 0.9 to 1.1e DEFAULT was quite easy with T2Laser with no problems. But now i messed up with 1.1f and cant get back to 1.1e. 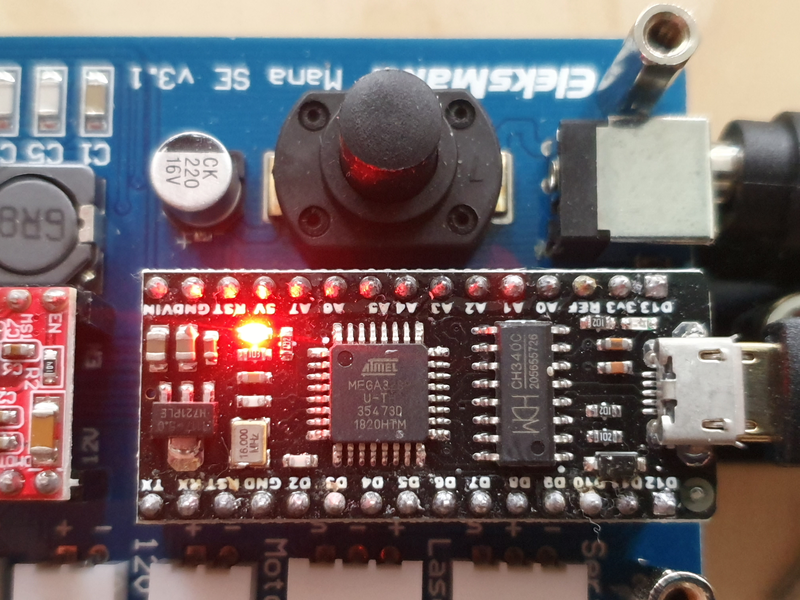 Is my way to reset the EEPROM correct? If it is, i think the board is faulty. 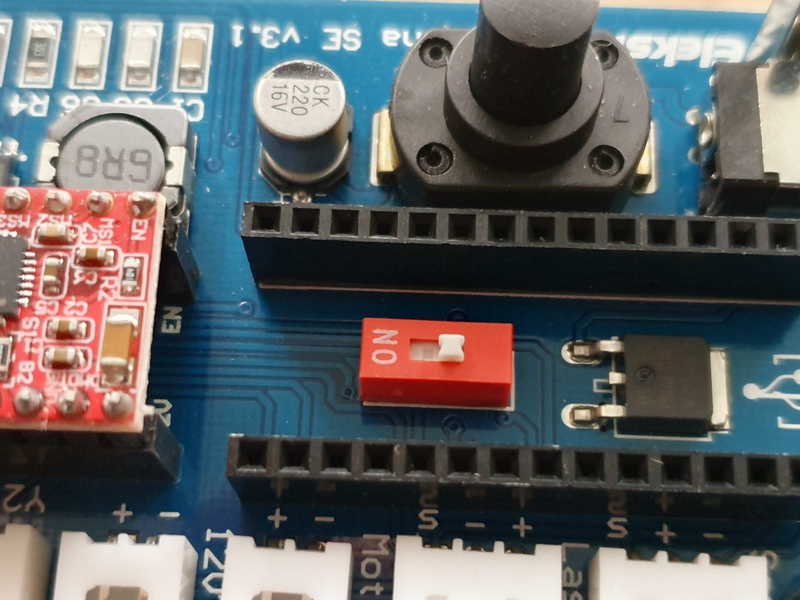 Can i get any Arduino Nano an replace it on the Mana SE board and Upload the Firmware (GRBL 1.1e) with T2Laser? Or do i need to upload some kind of boot loader? p.s. does anyone know whats this "on" switch is for under the controller? It sounds like your Nano clone has become "bricked" so won't accept any more flash updates. It may be possible to fix it with an AVR programmer or another Arduino device but not via USB. The switch changes where the Nano gets it's power, either from USB (default) or board. Don't change it. @fredevik If you install firmware not designed for your controller it could brick it. It's not a problem with 1.1f, it's a user error. T2Laser makes it very clear you should be using 1.1e DEFAULT unless you know what you are doing. One example I know will do this is using LaserAxe firmware so that's probably what you did.